Intel Science Talent Search is a pre-college science project competition open to high school seniors. Research projects include the areas of animal sciences, behavioral and social sciences, biochemistry, bioengineering, mathematics, medicine and health, and several areas of biology and physics. Students are judged on research ability, originality and creativity. From the entries, 300 semi-finalists are chosen, and 30 finalists. Each of the 300 semi-finalists receive $1,000. Each of the 30 finalists receive $7,500. Other awards are as follows: 8th, 9th and 10th place receive $20,000 each; 6th and 7th place winners receive $25,000 each; 5th place receives $30,000; 4th place receives $40,000; 3rd place receives $50,000; 2nd place receives $75,000; and first place receives an award of $100,000. 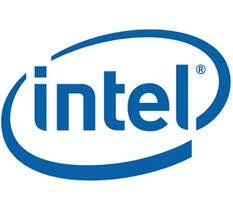 The Intel Science Talent Search is funded by Intel, the world's largest semiconductor company. Founded in 1968, Intel continues to work with the Society for Science and the Public (SSP) to reward students for their research efforts and career interest in the areas of science, math, engineering and medicine. SSP is a non-profit organization who has worked with sponsors since 1942 to present awards to more than 130,000 students. Over 2,800 finalists have received more than $11 million in awards to support their college educations. The deadline for this scholarship is usually in NOVEMBER of each year, and the award amount is usually $20,000 - $100,000.